So I decided to run my phone at full brightness. I turned off Adaptive, kept my display on the whole time. I watched YouTube, listened to Google Play Music and Tunein Radio. Took a phone call, browsed Google+ and a few other things. 50% brightness, Adaptive Brightness on.. I let this run over night. PowrDroid, will1881 and dmark44 like this. With Adaptive Brightness off the screen is brighter. I used the have the HTC One M8 and the brightness is comparable in my opinion. I like to keep mine at around 40% with Adaptive Brightness on. I had a HTC One M8 and the screen brightness was great on that so the Turbo 2 sounds perfect BUT as I said £150 more than the Style is a big difference and one I am not sure about, the shatterproof screen isn't really something I need but it is a great feature but for me the battery life is a biggie but I do think the T2 is a bit overpriced compared to the Style. Well you could always get up to $300 for a trade-in from Verizon. I've read that folks are averaging $200. Elvee68, could you repeat the test with your screen at a fixed brightness? It would be interesting to compare the results. The screen on full brightness is 445 Nits. Yeah sure I wouldn't mind seeing this myself. My setting will be 50% Adaptive Brightness on. 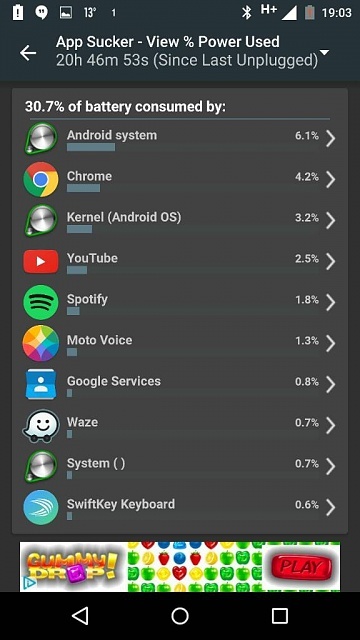 Over 10 hours screen on time at 50% brightness. That's sick! Very impressive. I guess you don't have messaging apps like whatsapp, hangouts, fb messenger, telegram? Hangouts but not the others you mentioned. For work on the other hand I need a charger near by just in case. I have location on and run Google Maps all day also I am talking on it the whole day too. In a 11 hour day I might make it home at around 15% but most of the time I keep it on charge in my work vehicle. What do you keep your screen brightness at? That looks a lot like what I get out of my T1, but I use the phone for at least a half an hour per day. 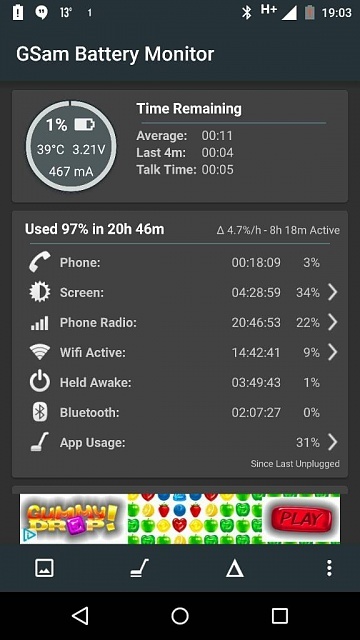 Not as good as you, but I have whatsapp connected and chat quite a bit. Plus 4 emails with auto push connected. No doubt. 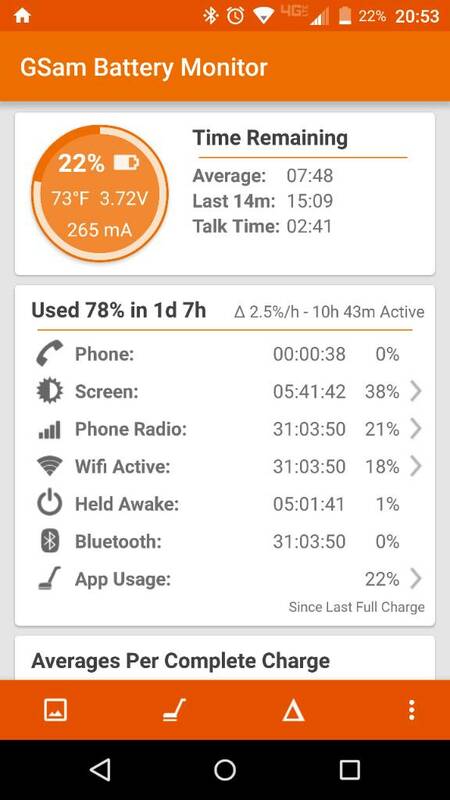 I'm on WiFi most the day and have been getting 4.5 - 5 hours SOT with 30% battery remaining. One of these work days I will turn WiFi off and see how long it last, but I really think the battery Is starting to settle down and perform as intended. Work is usually Phone calls, Navigation and Google Play Music on Bluetooth. Ultimate Test Drive wait time? Why is the battery on my Note 5 draining so fast?